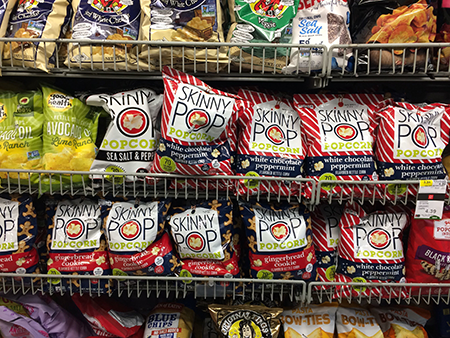 Like most food categories in center store, salty and packaged snacks have seen a rise in the healthier, organic and natural subcategory of products — but unlike other categories, these better-for-you alternatives haven’t hurt sales of the traditional, more indulgent products. 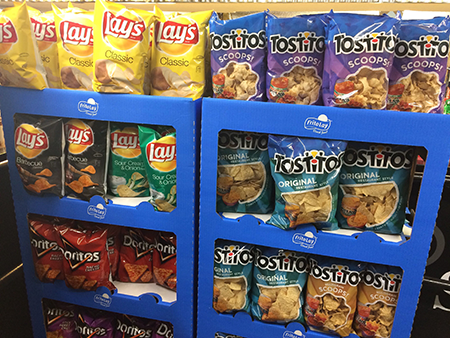 Market research firm Packaged Facts forecasts the U.S. salty snacks market will exceed $29 billion in 2022 — up from $24 billion in 2017, an increase of more than 17%. According to research director David Sprinkle, how Americans eat has evolved to match the frequently hurried and hectic lifestyles of today’s consumers. 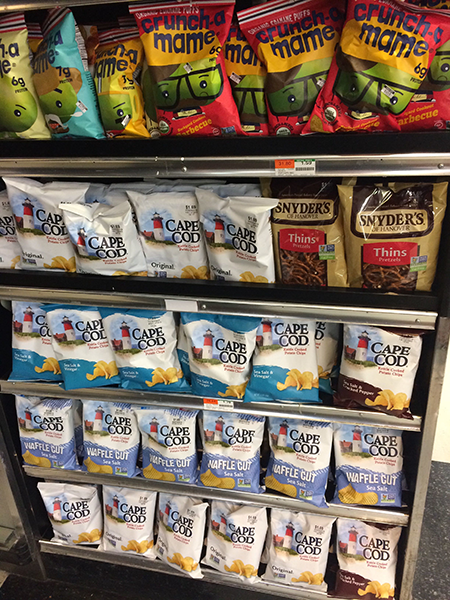 The shift has been a boon to convenient food options, including salty snacks such as potato chips, popcorn and pretzels. Year-over-year at Bashas’, salty snack sales are up 3.8%, meat snacks are up 3.7% and snack cakes are up 1%. 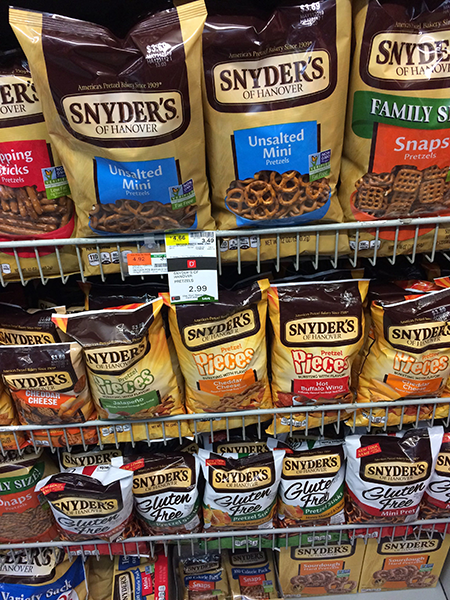 At Bashas’, sales of single-serve salty snacks are up 2.5%, and the "tube-snack" packages of trail mix, nuts and candy are up 28%. “Many brands have downsized their packaging as they promote cleaner labels and snack options with less sodium, sugar and calories,” said Vehon. 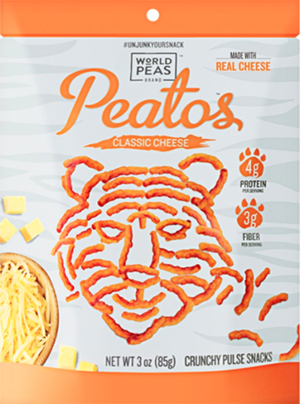 World Peas Brand’s Peatos cheesy crunchy snacks made from pulses including yellow pea and lentil are taking the snack aisle to the next level. Peatos are available in four flavors — Classic Cheese, Fiery Hot, Chili Cheese and Masala — and have twice the protein and three times the fiber of traditional corn-based cheese snacks. 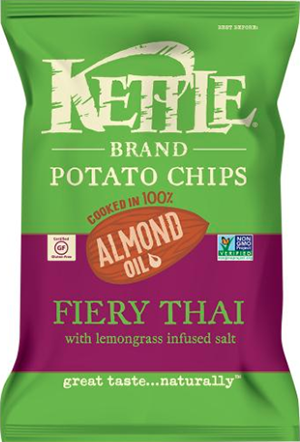 Kettle Brand continues its commitment to better-for-you snacking with the launch of Almond Oil Fiery Thai potato chips cooked in 100% almond oil. The Non-GMO Project verified and certified gluten-free chips feature a fusion of sweet lemon grass, ginger and classic Thai heat to create an aromatic and crunch indulgence snack treat.